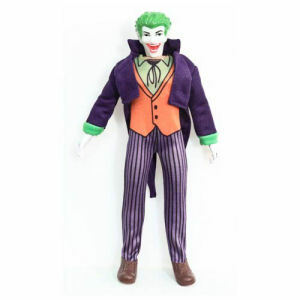 We have Just Sold out of DC Retro Super Powers 8 Inch Series 2 Joker Action Figure. Not to Worry! Fill in the Notify me When Available and you will be the first in line for our restock of DC Retro Super Powers 8 Inch Series 2 Joker Action Figure !! From the Super Powers collection by Figures Toy Company. DC Retro Super Powers 8 Inch Series 2 Joker Action Figure. Retro Super Powers DC Comics action figures! Highly detailed figures measure 8 inches tall. Awesome retro cloth costume. Each figure has fist fighting action. Figures Toy Company Batman Action Figures shipping from Canada. No Surprise Border fees or Customs!